Here’s the first in a series of tests that I’ll be running on the Wind, based on your comments. This is Skype Video, which I’m happy to report works quite well. High-definition Windows Media Video files play back without any problems. Files in the AVCHD format, however, are nah-gah, nah-gah, not gonna work here. Unfortunately, Adobe’s taken the Photoshop CS3 trial down until July 1st so I had to make do with CS2. I used a 6-megapixel JPEG file, which opened in 27 seconds. Google Earth works okay on the Wind. It’s certainly useable but if you’re looking to use it a lot, you might need something more powerful. OpenGL mode works better than DirectX mode, especially when zooming in. I’m happy to report that StarCraft runs just fine. No problems there. It’s very smooth. Bad news on this front. I wasn’t able to get a standard installation of Ubuntu 8.04 to load up. That’s not to say that someone with more time and Linux know-how wouldn’t be able to get it going, though. It took a looooong time to load before throwing me to a prompt, although one time it got all the way to loading up the Common Unix Printing System (cupsd) but it ended up just hanging there until I eventually shut down the computer. The Ubuntu Netbook Remix should work, though, as it’s designed for this type of device. I’m not savvy enough to figure it all out quickly enough, unfortunately. I made an .iso file out of an old DVD and mounted it using DAEMON Tools. Everything worked perfectly. The Wind was running on battery power for this test, too, so it’d definitely make a good airplane companion. 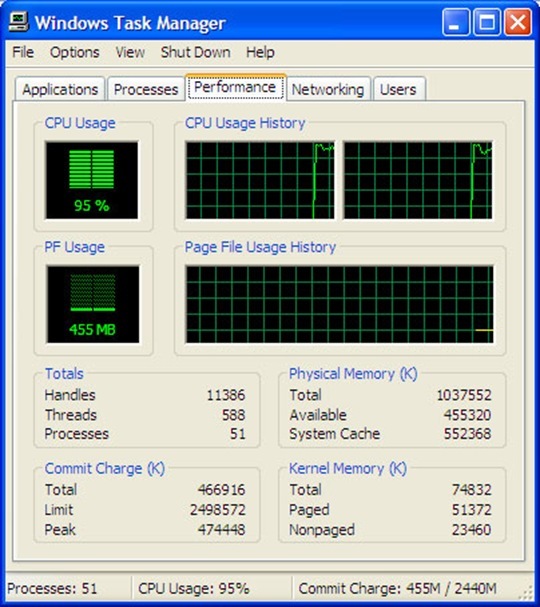 When everything was idle but the above programs were all still open, CPU usage hovered around 60% or so. The Wind scored an 837 using Primate Labs’ Geekbench 2 benchmarking software. Here are some other systems with similar scores.